ESET®, the leading IT security company based in the European Union, has outpaced its competition having recently been named the top IT security vendor in Germany by the readers of CRN magazine local edition. ESET, both in terms of business and its talent, has already been recognized by CRN, Germany’s leading IT channel publication, for a third time by its readers. However, 2016 is the first time it has been named as the top company. 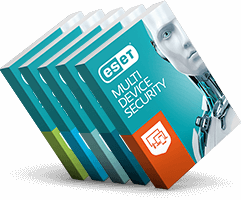 Simultaneously, ESET is the only IT Security vendor which has continually achieved a top three ranking in the CRN awards since their introduction in 2012. “Readers of CRN magazine provide us valuable feedback and we are very thankful for their recognition. Fair and comfortable business relationships are our main pillars of doing business in DACH and all of Europe. Thanks goes to our channel partners in Germany for helping to make ESET number one in one of the top markets in Europe,” says Miroslav Mikus, ESET Sales and Marketing Director for EMEA. ESET Germany’s B2B Director, Maik Wetzel has been a household name in the category „channel of champions” for several years now. During the CRN awards ceremony he was named the second best “Channel Champion of 2016”. “This award would never have been possible without the dedicated work of team ESET in Germany, and indeed around the world – but foremost, since our work is mutual, without our partners and re-sellers,” notes Maik Wetzel. CRN Germany’s award closes a very successful year for ESET across the region of German speaking countries – having also secured both a test win as well as the Readers’ Choice award from the highly recognized magazine Computer Bild, among others.